When attempting to deck out your vehicle with an awesome sound system, you’ll definitely want to purchase some sufficient, topnotch subwoofers. With the right woofers, you will be able to experience outstanding bass with impressive clarity. Of course, purchasing woofers is anything, but easy. There are many products available and even more things to consider. Within this guide, you will be able to discover everything you should know, before making your purchase! If you're not sure about the size of your subwoofers we recommend that you check out our reviews about some of the highest quality subwoofers, competition subwoofers. You can also look at powered subwoofers for other great options. Are you looking for the best SPL woofer? Well, the Orion HCCA subwoofer is the best on the planet. This subwoofer can reach as much as 4 inches of travel, because of the 4-inch high temp voice coil and motor. You probably already know that more travel means more bass. Basically, this means that you will be thumping wherever you go. The dimensions of these speakers are 22” x 22” x 17 inches. They weigh in at 90 pounds each, which is extraordinary, compared to other brands. The Orion is big, but it has amazing power output. The HCCA152 is the competition speakers, which means they are designed to be played loud. HCCA enhanced voice coil cooling system. This speaker had to be designed with a special cooling system, because the voice coil can get very hot. They come equipped with a huge 4 inch PAARC voice coil, which is also made of polyester with an amide resin coating, which is a unique material. The Orion speaker has a two screw terminals, which allows you to secure the wiring, without any worries of it ever coming loose. The speaker also uses a dual flat coned spider that attaches into the base of the cone. RMS: 2000 Watts and peak: 4000 Watts. The speakers require so much power that you may have to purchase a special amp to power the speakers. There is a special replacement cone kit available, in case you blow the subwoofer. This will prevent you from having to replace the entire speaker. 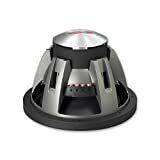 If you can afford the best, then you should purchase the Orion 15 inch subwoofer HCCA152, because it has a very high tech design and equipped with very durable components. For those music lovers that are searching for an affordable speaker system that will provide them with a high-quality sound, should look no further than the Rockford Fosgate P3D2-15. Not only will you save a load of money, when purchasing this product, but you will receive a clear, crisp bass that is incomparable to other brands. Below you will find more information about the Fosgate P3D2-15. The fosgate is 15” in diameter, which is suitable for most vehicles, whether you are replacing your old speaker system or developing an enclosure. The displacement measurement is 0.148 cubic feet (4.2 liters) and the cutout diameter is 13.94” (353mm), so be sure to keep this in mind, when purchasing the Rockford. The overall shipping weight is 23.3 pounds, which is definitely lighter than other brands. The FlexFit basket design will definitely speed up the overall installation and mounting process, because you will be able to make quick adjustments with ease. This punch subwoofer is undeniably constructed out of high-quality components and materials, which is important, when considering the price tag. The anodized aluminum cones will not only offer longevity, while providing you with a loud, clean sound every single time. 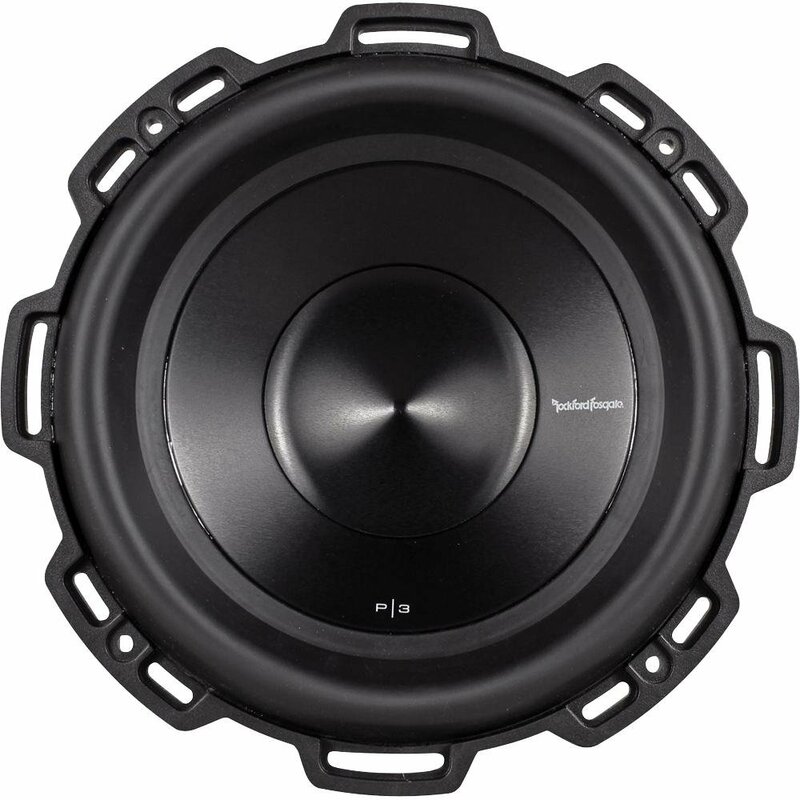 If you are looking for a loud bass that will shatter windows, you should look no further than the inexpensive Rockford Fosgate P3D2-15 punch subwoofer. Some consumers are interested in purchasing subwoofers, but don’t want to go broke getting them. This is entirely reasonable and you shouldn’t be forced to go broke, in order to experience awesome bass. This is why you might want to consider checking out the Alpine Type-R SWR-1542D Subwoofer. This woofer is very efficient, durable and well worth the price. 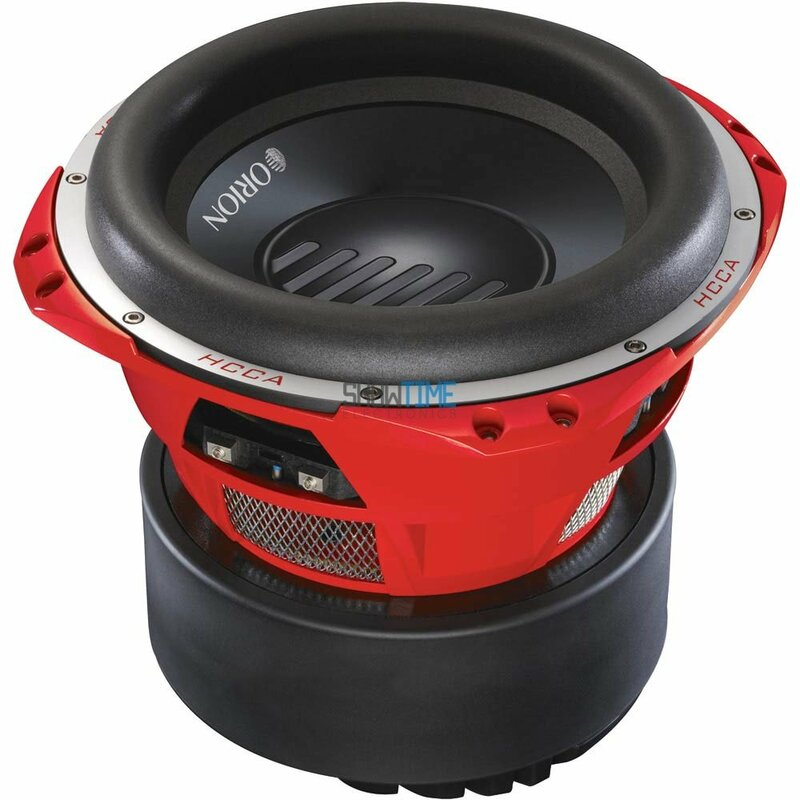 When paired with the right enclosure, the woofer can produce a very loud thump, which will jar your entire vehicle. This is a 15” woofer, which is capable of delivering a powerful boom. Once the woofer arrives at your home, it’ll weigh approximately 38 pounds, which isn’t bad at all! It is superbly made, very durable and reeks of excellent craftsmanship. Take note that this woofer also comes with a 1-year warranty. This can provide you with an increased peace of mind and give you reassurance, when making your purchase! This woofer is capable of handling 750 watts consistently. The cone is manufactured from parabolic Kevlar and pulp fiber. This is a 4 ohm woofer, which will only be compatible with 4 ohm amplifiers. The frequency range is 20 to 400 Hz is very impressive for the overall price. The woofer’s sensitivity rating is 87 dB. Overall, the Alpine Type-R SWR-1542D is a great subwoofer. It can produce high clarity bass with a big bump. If you want to make your vehicle bounce, this woofer is well worth exploring a little bit further! If you are an auto audio enthusiast, you most likely rely on your favorite tunes to keep you occupied on your long ride home. Not every subwoofer can produce a high-quality sound, which is why you will need to do a bit of research on the limitless availabilities. Below you will discover more information on the Kicker CompVR 07CVR154. Kicker is a rare breed, since it is capable of producing a minimum frequency response of 25 Hz and a maximum frequency response of 500 Hz. The RMS output power is 500 watts, which is suitable for most individuals. The 15” speaker has a mounting depth of 8.12” and a cutout diameter of 13.87”. The 07CVR154 has an impedance of 4 Ohm and requires a 4 Ohm amplifier, so be sure to keep this in mind, when purchasing this subwoofer. The CompVR’s heavy duty construction cannot be ignored, because it is solid and heavy, which will withstand the test of time. 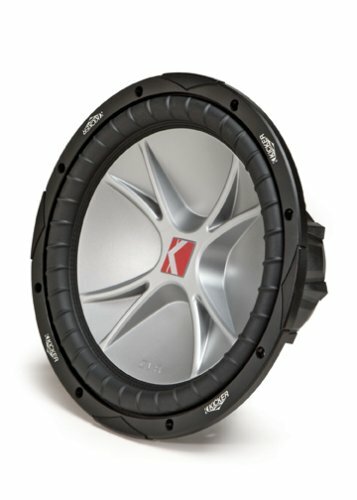 If you are ready for a sound upgrade, you should look no further than this brand. The dual voice coils will provide the music lover with the perfect, clear bass. The Kicker CompVR is not only affordable, but it will offer you a long service life, as well. If you are looking for an inexpensive way to upgrade your speaker system, be sure to keep this brand on your list of prospects. Do you want to make your vehicle’s sound system bump loudly, without filing for bankruptcy? If this is the case, you’ll definitely want to check out the VM Audio SRW15! These speakers are extremely affordable, but still produce excellent bass. This woofer is specifically designed for those that want to enjoy extreme quality at low frequencies. If this is what you’re after, these are definitely the speakers for you! Take note that this specific package comes with 1 or 2 subwoofers. 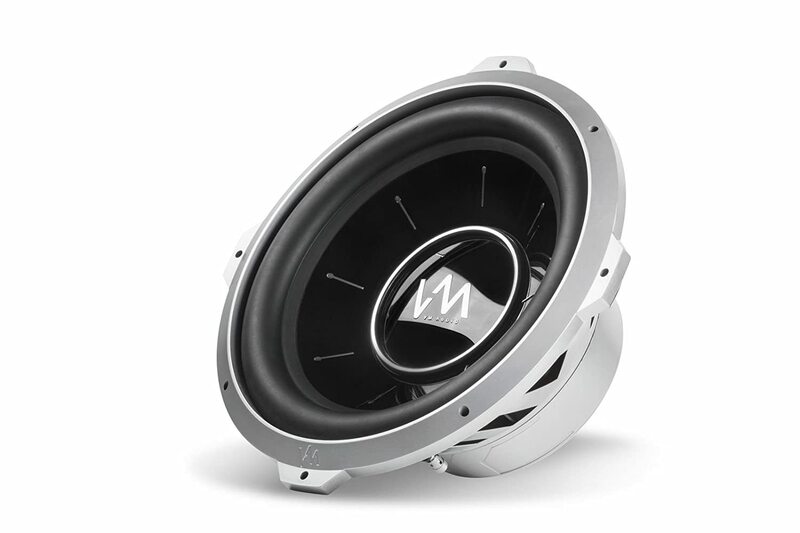 These are 15” woofers, which are perfect for all different types of vehicles. Their shipping weights are right around 28 pounds, so each woofer will weigh approximately 14 pounds. This is the perfect size and will give you the ability to get them installed in their enclosures and in your vehicle, without a lot of difficulty. Despite being fairly inexpensive, these woofers are very impressive. They offer dual 4ohm impedance, which will connect to your 4ohm amplifier, without trouble. The RMS power, which is 600w, is actually awesome! The maximum power handling is 1200w. The frequency response of these woofers is 25 Hz to 500 Hz. Although the smaller number could be a little lower, the frequency is great overall. Finally, these woofers are covered by a 1-year warranty will offers increased reassurance. These specifications guarantee that your vehicle will thump loudly, while your jam your music! If you’re looking for a pair of subwoofers, which won’t break the bank, you’ll definitely want to check out the VM Audio SRW15. These woofers are affordable, durably built and come with a 1-year warranty! They also produce a very loud thump, while transmitting low bass sounds. Be sure to check them out today! Before purchasing subwoofers for your car or truck, it is essential to take a deep breath and begin researching! There are several different aspects of the woofer that should be examined very closely, before handing over your money. Below, you will find a breakdown of these characteristics. RMS Rating – As far as power rating goes, maximum handling might be important, but the RMS rating is much more impactful! This figure specifically notes the amount of power than can constantly be handled by the woofer. With a bigger RMS rating, you will be able to increase your system’s volume level. Sensitivity – By increasing your woofer’s sensitivity level, less power will be needed to reproduce the sound. Usually lower frequency and sensitivity go hand in hand. Frequency Range – As the name suggests, this range will tell you precisely how low or high of a sound the woofer can produce. Typically, the lower number is more important than the bigger number. Type of Enclosure – Some woofers come with their own enclosure and some do not. Either way, the enclosure is exceptionally important! A sealed enclosure is a good choice, if you wish to obtain a deep sound, with great accuracy. For louder sounds, you will want to consider a band pass or ported enclosure. Voice Coil – Woofers typically come with one or two voice coils. If you’re an expert and will be wiring your own system, you might want to opt for a dual coil woofer. Otherwise, this isn’t a big deal. Impedance – When purchasing car woofers, it is likely that you’ll be overwhelmed with 4 ohm impedance woofers. Although there are those with ratings of 2 ohms and 8 ohms, they’re much less common. Make sure that your woofer’s impedance rating matches your amplifier’s impedance level or they’ll be incompatible. Size – Size is pretty straightforward. A bigger woofer will generally produce a louder sound. Of course, other factors should not be ignored, because they can help elevate smaller woofers past their size limits. Also, you should remember to make sure that your woofers and speakers will actually fit into your vehicle! At the end of the day, everyone will have their own preference, when it comes to car speakers. Before you make your final decision, it is essential to perform a little research and look at all aspects of the woofer. By doing this, you will be able to make a much better decision and will be able to make your car boom like never before!